Utsumi off to new ventures. Hiroshi Utsumi, the general producer behind the Sega feat. 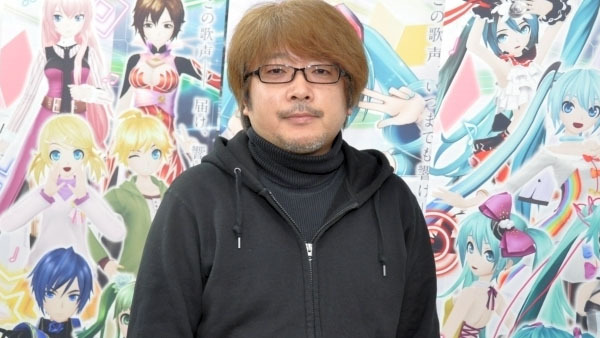 Hatsune Miku project, has resigned from his position at Sega. In a blog post at the official Sega feat. Hatsune Miku blog, Utsumi says that he has left Sega as of June 30. Its general producer may be leaving, but Sega’s Hatsune Miku games are thriving. Hatsune Miku: Project Diva Future Tone recently launched for PlayStation 4 in Japan, Hatsune Miku: Project Diva X is due out for PlayStation 4 and PS Vita in the Americas and Japan in August (just for PS4 in Japan, as the PS Vita version is already out), Hatsune Miku: Project Diva Future Live is planned as a PlayStation VR launch title in Japan on October 13, and Utsumi promises “various projects” are in the planning as we head towards Hatsune Miku‘s 10th anniversary in 2017.